If you want to be successful in any field (as an author, musician, speaker, coach, whatever) you need to regularly feed your mind with empowering ideas. Those uplifting messages can come from books, audio programs, workshops, mentors, personal coaches, and more. One of my favorite sources of inspiration are interviews with successful people. Audio-based interviews have been online for many years as podcasts and Internet radio shows. But in recent years a growing number of video-based interview shows have popped up online. If you like watching as well as listening to interviews, this can be a potent way to absorb the success traits of other people. Having started just a few years ago with virtually no viewership, David’s energetic style and highly informative content have grown his audience to more than 250,000 regular viewers. What’s cool about David is that his style is so engaging it’s easy to forget you are watching an information-packed presentation. You will get excited (and will laugh) about your future as a “mediaprenuer” (a term he coined). Every podcast is uncut, raw, and entertainingly irreverent. 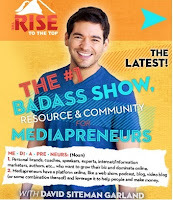 He regularly interviews other mediaprenuers and gets them to reveal the secrets to their success, in addition to sharing valuable insights into what has helped him grow. In his interview with Amy Porterfield, he gets her to reveal how David helped her shed her stiff, overly corporate vibe – and what it has done to help her be successful. When you first meet Jaime, you feel like you’ve just made a new friend – one with massive amounts of insight. In her very first podcast (January 2011) she explains how she was miserable pursuing a million dollars as an overworked employee. She realized that if she was going to make a million, she would have to first love her work and life, so she made tracks to do just that. Immediately, you feel like you can trust her! After trying several different jobs she could do from home, she found her niche as a business coach. 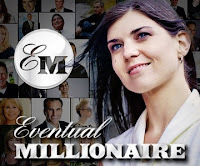 Part of her work is The Eventual Millionaire, where she gets incredibly successful self-made millionaires to reveal their secrets. In her interview with Tim Ferriss, author of The Four Hour Work Week, he explains that practically anybody can master anything in four hours by using principles he included in another book in the series, The Four Hour Chef. The interview got my brain rolling about learning new skills! 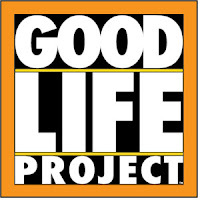 Watching an episode of The Good Life Project is like sitting down to enjoy a good meal – it’s satisfying. In each episode, Jonathan Fields effortlessly draws out business, personal, and spiritual insights from a highly successful person. Jonathon’s mission is to inspire a movement where work is more than something you do – it’s a way of life and a mindset. You may have seen his first mega-breakthrough – the 10 Commandments of Biz. It was a graphic that went viral and catapulted him to cyber notoriety. What’s really cool about Jonathon is that he has a knack for drawing out the underlying factors that helped his interviewees be successful. He is not just interested in the mechanics; he wants to know about the mindset and deep motivations that led to success. In the episode featuring Lewis Howes, he opens the interview by getting his guest to reveal the childhood experience that has driven him to succeed through his whole life. Impressive! This free video interview series (soon to be an audio podcast too) is hosted by yours truly. The show highlights a wide variety of cool and creative people either working full-time or making a major impact in their chosen field. Every guest is asked the same basic set of questions. The goal is to uncover the factors that lead to their success, mistakes and lessons learned along the way, and what they would do different if starting over today. Go to this Creative Entrepreneur interview page to see the most recent episodes. I hope you tune into all of these inspiring shows. Let the success stories and principles that others have used motivate you to share your unique gifts with the world! One of my favorites is Ariel Hyatt's interview of Seth Godin. Check it out!